Metis can engage with you in creating a communication strategy aimed at achieving the HR objectives through the use of communication methods, techniques and approaches that helps the Organization to reach, engage and motivate employees to achieve business success. In order to cater the diversified demands of our clients, we have been able to provide a unique range of Brand Communication Strategy Service. Deals in prviding service of analysed and customised Profiling. Every brand has to communicate with its target customers to convey that their needs will be best satisfied by it. This has to be done using communication tools appropriate to the brand and its customers. Web2byte offers a wide range of public relations and communications services. We specialize in public affairs, financial communications, corporate strategy and creative engagement. We offer following services and capabilities for meeting our clients' communication needs. We offer Communication Strategy and Planning to our clients in order to generate greater value for them. By identifying the purpose, audience, message's mood and tone, resources, anticipating obstacles and emergencies, creating the plan of action and strategizing evaluation. Sara Communications India Pvt Ltd.
LiquidHub creates effective communication and contacts management plans to enable effective communication and meet core organizational objectives. Good communication begins with a sound strategy. Our team can help you formulate an effective strategy for your brand launch or rejuvenation. This involves in-depth interviews with all stakeholders including doctors, retailers, production, R&D, salesforce, and the marketing team. 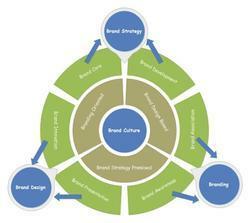 The outcome is a bank of valuable insights that becomes the basis for brand positioning and identity.